It is believed that European settlers brought Alliaria petiolata to North America for cooking purposes. Alliaria petiolata may outcompete native herbaceous species and negatively impact ecosystems of invaded areas. Alliaria petiolata acts as a population sink for certain butterflies. Its seeds are transported by humans, on animals, and in water. Other long-distance vectors have not been identified. Alliaria petiolata is a biennial that starts its first year with a slender taproot and a rosette of kidney-shaped, dark-green leaves that stay green through the winter. The leaves smell like garlic when crushed. It develops into a mature flowering plant in spring if the second year, producing a flowering stalk with numerous white flowers, each composed of 4 petals in a 'cross', 6mm in diameter. The flowering stalk is lined with alternate leaves that are triangularly shaped with sharply toothed edges. Seeds are black and oblong and found in a slender seed pod called a silique. A. petiolata typically grows to 0.5-1.0m tall. Alliaria petiolata is a biennial. It produces seeds by early summer and then turns yellow and dies in late summer. Seeds can lie dormant for up to six years and require a cold period to germinate.Seeds of garlic mustard are dormant at maturity and require a cold period to germinate. Seed longevity has not been determined specifically but seeds have been known to germinate as long as six years after production. The majority of seeds germinate during the first spring following dispersal and the seedlings become established before the canopy closes over. A few seeds germinate in subsequent years. If seedlings develop within dense beds of second year rosettes, they are generally not successful as they cannot compete with the established plants. Because the majority of seeds germinate during their first spring, garlic mustard produces most of its flowering shoots in alternate years. For the same reason, only a small seed bank of reserve seeds forms in the soil. Alliaria petiolata is used as a garlic flavoured herb and is high in vitamin A and C.
Alliaria petiolata prefers shade but has been found in areas with full sunlight. It prefers moist, rich soil but is found in sand, loam, clay, limestone, and sandstone substrates. A. petiolata is found mostly in deciduous forest areas. 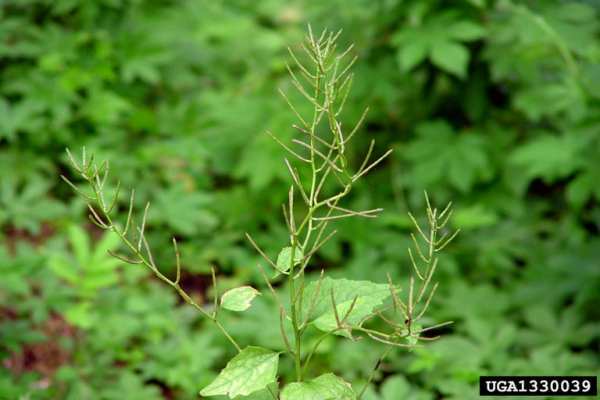 It is one of the few invasive plants that can invade and dominate the understory of forested areas. Invasion is more likely in floodplain forests, forest edges, stream banks, and other disturbed areas, such as trail edges and road sides. A. petiolata is less common on acidic soils. Alliaria petiolata self-pollinates but it can also be pollinated by insects, including bees and flies. Humans, other animals, and water currents disperse seeds. Wind dispersal is ineffective. A single plant produces an average of 136 to 295 seeds, depending on the size of the plant and the quality of the soil and habitat. Seedling survival rates vary from 1.4 to 42.3%. Alliaria petiolata prefers soils high in lime. Introduced by settlers for food and medical purposes. Recommended citation: Global Invasive Species Database (2019) Species profile: Alliaria petiolata. Downloaded from http://www.iucngisd.org/gisd/species.php?sc=406 on 21-04-2019. 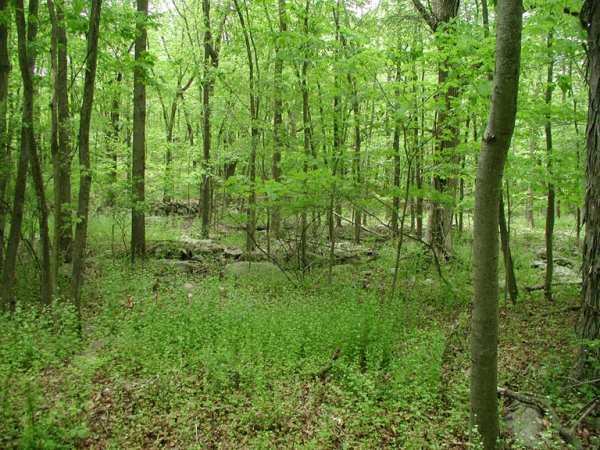 Alliaria petiolata can form dense stands because it has no natural predators, and it thrives in disturbed areas. In many forest areas of the eastern and midwestern USA, A. petiolata outcompetes native plants for light, nutrients, moisture and soil. Wildlife species dependant on these native plants for food are left without these valuable resources (PCA, 2006). The presence of garlic mustard interferes with oviposition of the rare native butterflies Pieris napi oleraceae and West Viginia white butterfly (please see Pieris virginiensis for more details on its conservation status). The native hosts of P. napi oleraceae and P. virginiensis are toothworts Cardamine concatenata [Dentaria laciniata] and Cardamine [Dentaria] diphylla. Eggs laid by females hatch but larvae are unable to complete development on garlic mustard (NatureServe. 2007). Physical: Control of garlic mustard, whether they are small or large infestations, requires a long term commitment as the seeds of garlic mustard can remain viable in the soil for five years. Suggestions (Marc Imlay pers.comm., in Aliens-L March 2005) on handling the seed bank problem with garlic mustard include immediately catching new populations which may not have a seed bank, as well as removal of the green reproductive stage in autumn and winter. 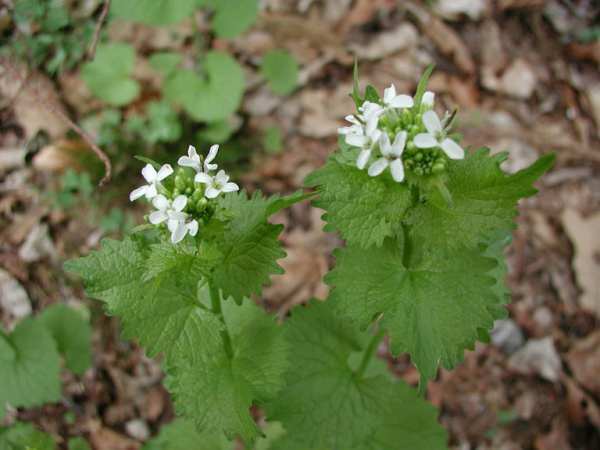 New studies indicate that cut, flowering garlic mustard may form viable seed. Until more information is available, cut or pulled stems should be removed from the site whenever feasible (Solis, K. 1998). 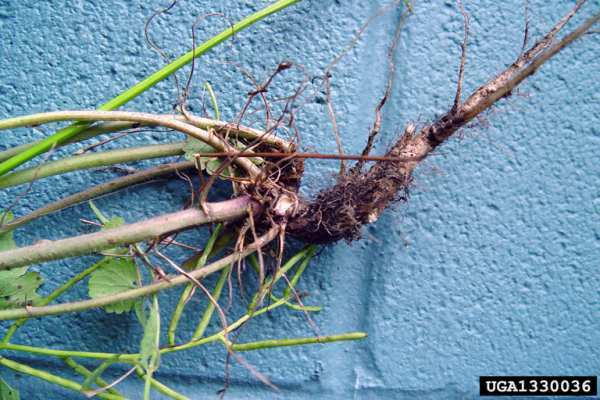 In the case of small infestations, plants can be hand removed but care must be taken to see that the entire root system is removed. Best results are achieved when the soil is soft and moist and achieved by grasping low and firmly on the plant and tugging gently until the main root loosens from the soil and the entire plant pulls out. Pulled plants should be removed from the site if at all possible, especially if flowers are present. 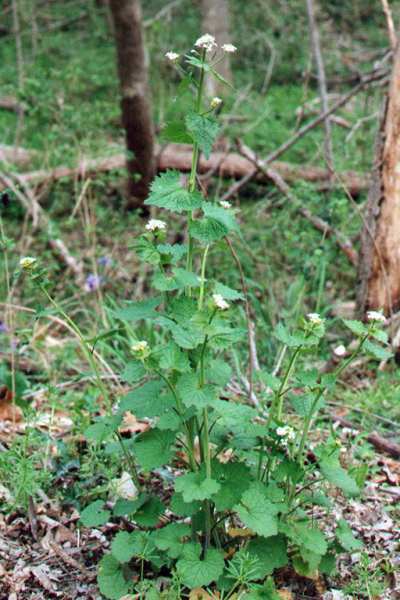 For larger infestations of garlic mustard, or when hand-pulling is not practical, flowering stems can be cut at ground level or within several inches of the ground, to prevent seed production. If stems are cut too high, the plant may produce additional flowers at leaf axils. Once seedpods are present, but before the seeds have matured or scattered, the stalks can be clipped, bagged and removed from the site to help prevent continued build-up of seed stores. This can be done through much of the summer (PCA, 2006). 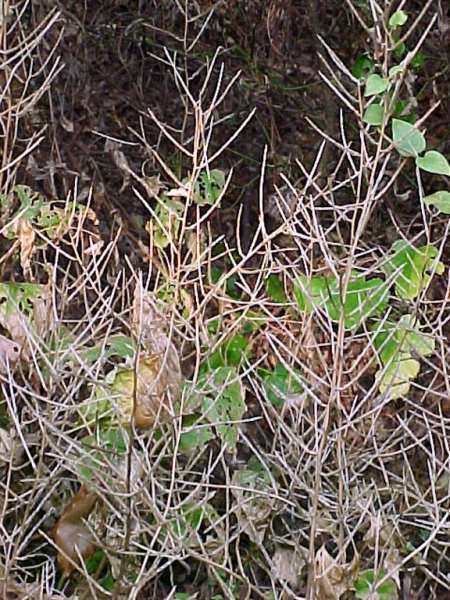 \r\nChemical: Glyphosate controls A. petiolata well, but should be applied during the dormant season to avoid damaging native species. If applied after germination, glyphosate will significantly reduce seedling populations. Any herbs or graminoids that are green at the the time of application will be damaged. Bentazon appears suitable for use in many forest communities but should be tested further before widespread use. 2,4-D and Acifluorfen are not recommended for control of A. petiolata . Informations on Alliaria petiolata has been recorded for the following locations. Click on the name for additional informations. Blossey et al 2002. Garlic Mustard. In: Van Driesche, R., et al., 2002, Biological Control of Invasive Plants in the Eastern United States, USDA Forest Service Publication FHTET-2002-04, 413 p.
Summary: Research in Biological control. Garlic Mustard (Alliaria petiolata) Bill Cook, Michigan Invasive Plant Counsil, Michigan State University College of Agriculture and Natural Resources (2001). Summary: A report on the threats and control measures. Garlic Mustard (Alliaria petiolata) Canadian Wildlife Service (2002). Summary: A report on distribution, biology, potential threat, and control measures. 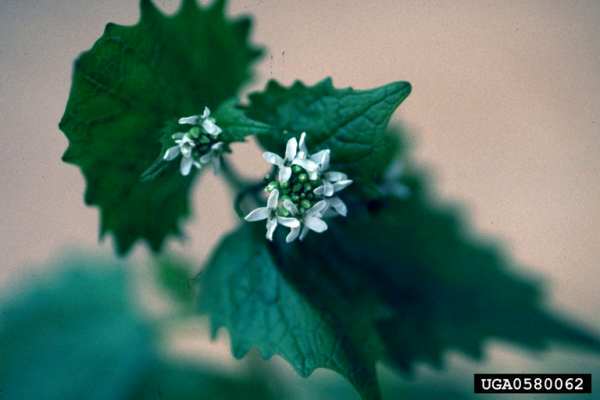 Garlic Mustard (Alliaria petiolata) Jerry Doll, Extension Weed Scientist at University of Wisconsin (1999). Summary: A report on history, description, habitat, distribution, and detailed control measures. Garlic Mustard. Pamela Rowe, Montgomery County Department of Environmental Protection, Rockville, MD. Pamela Rowe, Montgomery County Department of Environmental Protection, Rockville, MD. Jil M. Swearingen, U.S. National Park Service, Washington, DC. (2002). Summary: A report on description, habitat, distribution, reproduction methods, ecological threats, and management practices. 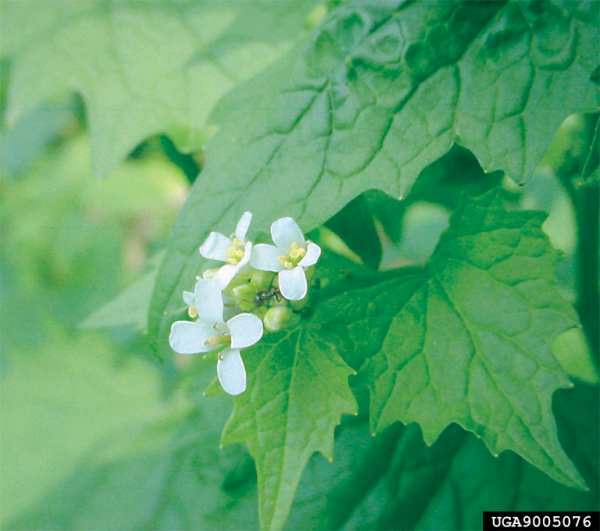 Introduced Species Summary Project: Garlic Mustard Debby Kleinstein (2001) Columbia University. Summary: A report on description, distribution, introduction, benefits, threats, and control measures. Invasive Exotic Plants of Canada. Erich Haber, National Botanical Services, Ottawa, ON, Canada (2001). Summary: A report on history, description, habitat, biology, and control measures. Summary: Factsheet with information on management and impacts. Solis, K. 1998. 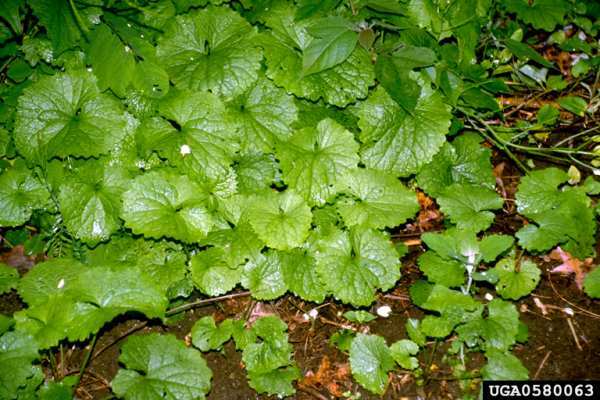 Update: new results indicate flowering garlic mustard should be bagged and destroyed (Wisconsin). Restoration and Management Notes 16: 223-224. Summary: Viability of seed- management note. Summary: Gives common names and synonyms. Also a report on description, distribution, control measures, and impact. MOBOT Missouri Exotic Pest Plants. NatureServe. 2007. Pieris virginiensis - (Edwards, 1870) NatureServe Explorer: An online encyclopedia of life [web application]. Version 6.2. NatureServe, Arlington, Virginia. Summary: Available from http://www.natureserve.org/explorer/servlet/NatureServe?searchName=PIERIS+VIRGINIENSIS [Accessed: August 20, 2007 ]. Nuzzo, V.A. 2000. Element Stewardship Abstract for Alliaria petiolata (Alliaria officinalis) Garlic Mustard. Revised. Prepared for The Nature Conservancy, Arlington, VA. 20 pp. United States Geological Survey. 2003. Butterflies of North America Jamestown, North Dakota: Northern Prairie Wildlife Research Center. Summary: Provides distribution maps of butterflies of the United States. USDA The Plants Database. Natural Resources Conservation Service (2002). Summary: Details about synonyms, distribution, and taxonomy.